Urban Cinematography had a wonderful day shooting for Doyin & Gbenga, they were such a lovely warm couple who were really overjoyed to be getting married. Wrest Park in Bedfordshire was the perfect backdrop with its huge sky and manicured gardens. As wedding videographers we captured spectacular scenery, even the rain didn't dampen our spirits. Wrest Park in Bedfordshire has a really fascinating historical past, it is an English Heritage property that was very important during WW1, Wrest Park was used as a Military Hospital to treat the wounded that came back from the fighting. Today it's a little more glamorous thankfully! 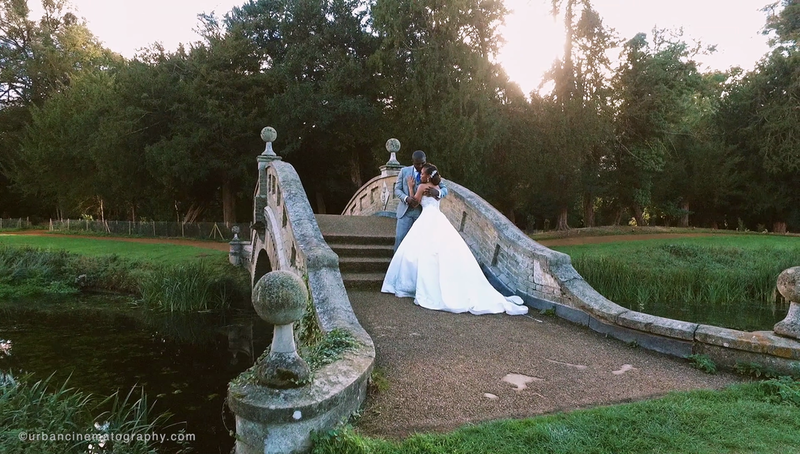 Urban Cinematography filmed a beautiful wedding film for this very special couple. 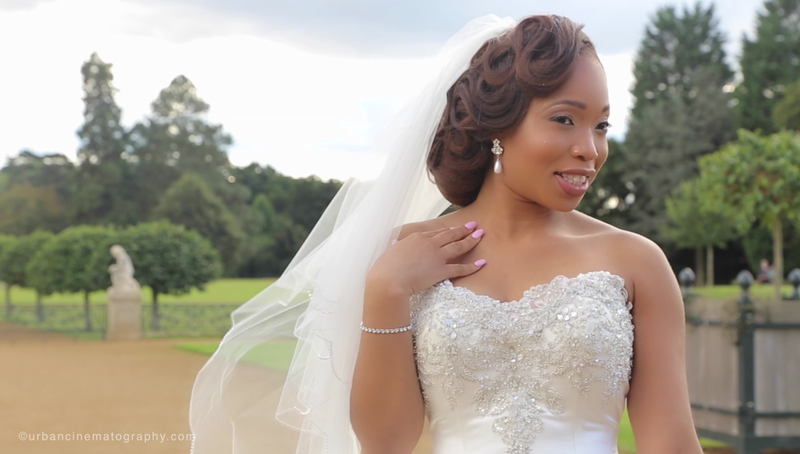 Our stunning Bride Doyin wore a Duchess Satin strapless beaded full skirted gown which looked amazing, with a scalloped edge Swarovski diamonds veil. Her handsome Groom looked the perfect Gent in his traditional check suit, finished with a Pink blush open Rose in his buttonhole. 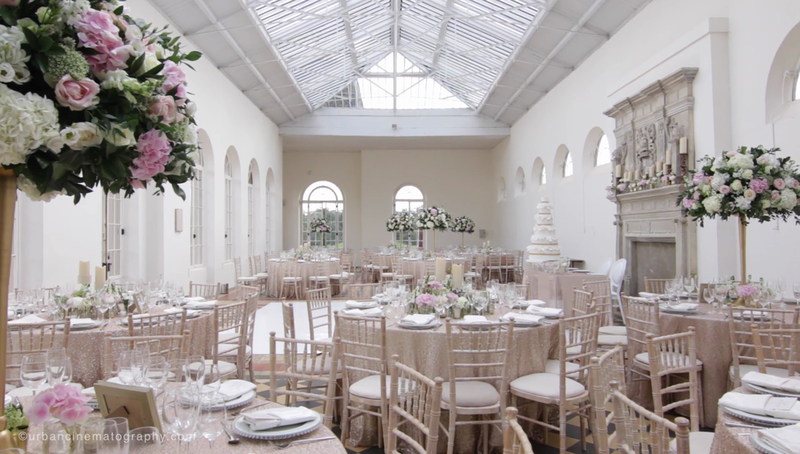 The ceremony was held inside the historical Wrest Park and continued into the orangery for the wedding Breakfast and reception. Doyin & Gbenga enjoyed spending time with their families and friends and danced until the early hours.